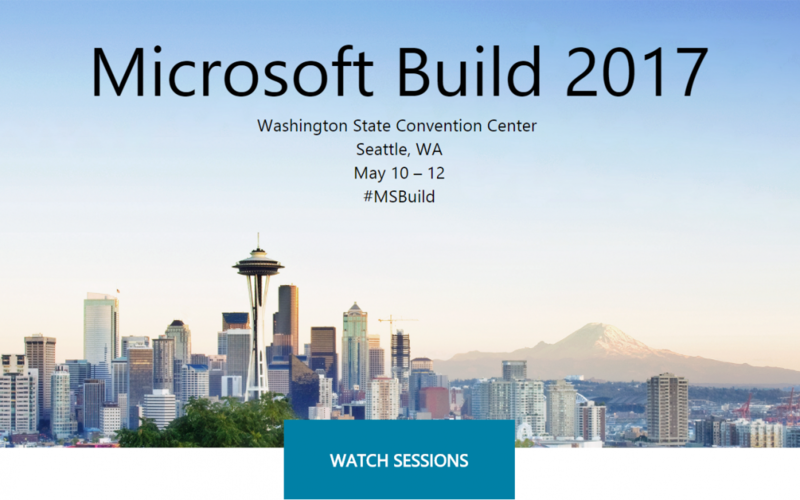 Hosted in Seattle on May 10-12, Microsoft Build 2017 was a great occasion for Developers to learn about the latest developments in the tech industry. A number of interesting announcements were made during the conference, and many specific technical sessions were held. If you missed it, you can read about the main highlights below and get access to video recordings of the Build 2017 sessions. – The latest developments in the fields of AI and virtual reality. Microsoft announced that the next Windows 10 Fall Creators Update is coming this year. It will bring the possibility for a new kind of cross-device experience through a number of new features, including a Cloud powered clipboard which will let users copy and paste between devices. The Cortana Skills Kit is now available for public preview – developers can now create new skills for Cortana. Motion controllers have been released to work with mixed reality (a mix of virtual and augmented reality) headsets. The new headsets’ sensors are integrated in the headset rather than being external. The headset will work with latest update of Windows 10. Microsoft announced that ITunes and Linux are coming to Windows store. Video recordings from the Build 2017 technical sessions have been published on Channel 9. There are 452 videos to choose from, which you can filter by theme, speaker or level of difficulty. To view the videos, follow this link: Build 2017 recordings on Channel 9.